When the Maroons take to the field this coming fall, they will be missing a player that has been integral to the success of the squad for the past four years: Jorge Bilbao. This fourth-year left his mark on the team not only through his personal success, but also in the role he played in shaping the men’s soccer program into a force to be reckoned with on a national scale. Reflecting on his dedication to the program and team, he said, “Not having anything to look forward to or prepare for has been tough. Putting on my Chicago jersey and playing soccer with my best friends is something I will miss greatly.” This realization has been a long time coming, and perhaps wasn’t something that crossed his mind as a first-year. Entering his first year at Chicago, Bilbao immediately made himself known on the field, starting all 17 of the games that year and leading the team in scoring with nine goals and three assists. 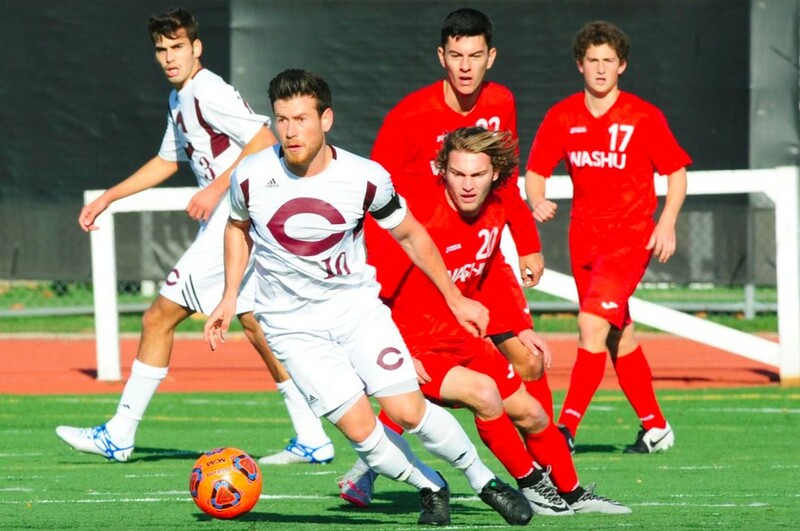 At a very minimum, he changed the outcome of two games, scoring the game-winning goal versus both Wabash and Brandeis in his collegiate debut. This breakout performance led to two UAA recognitions: Rookie of the Year and Honorable Mention. Equally important, however, is the instant improvement the team made with Bilbao’s addition. The 2011 team ended at 9–7–2 and seventh place in the UAA, while the 2012 team had fewer wins but also fewer losses (8–4–5) and jumped up to sixth place in the UAA. Although Bilbao was limited in his second-year to only 12 games, the team stayed steady, finishing at 9–6–2 and again taking sixth place in the UAA. However, the true breakthrough came during his third-year. As a third-year, he started 13 of the 17 games played and led the team to a 12–6–2 record and first place in the UAA. Again, Bilbao can be credited with the UAA Championship: he scored the lone goal in the finals win over rival Wash U. The team also made it to the NCAA tournament, the first time it achieved this accomplishment since 2009. Bilbao also earned Second Team All-UAA and was named the UAA Offensive Player of the Week. The crowning achievement came during his fourth-year, though. In 2015, the team finished 12–5–3 and although it dropped to fourth in the UAA, it still made it to the second round of the NCAA tournament. Even now, the fourth-year hasn’t quite come to terms with the fact that his time with the team has ended. “I loved being part of this team so much that when I go play indoor soccer with the younger guys, I completely forget that I’m not part of the team anymore,” he said. It will be hard for Chicago to forget Bilbao as well. Though his time has come to hang up the cleats, the program will certainly miss his leadership for several years to come.